Call: Weak, thin seet thinner and higher pitched than Blue-eared Kingfisher. A high-pitched, shrill or soft tsriet-tsriet in flight. de Schauensee, R. M., & Ripley, S. D. (1939). Zoological results of the George Vanderbilt Sumatran expedition, 1936-1939. Part III: Birds from Nias Island. Proceedings of the Academy of Natural Sciences of Philadelphia, 91, 399-413. Medway, Lord, & Wells, D. R. (1976). The birds of the Malay Peninsula. A general account of the birds inhabiting the region from the Isthmus of Kra to Singapore with adjacent islands. 5. Conclusion, and survey of every species. London, UK: Witherby. Palkar, S. B., Katdar, V. D., Lovalekar, R. J., Mone, R. V., & Joshi, V. V. (2008). 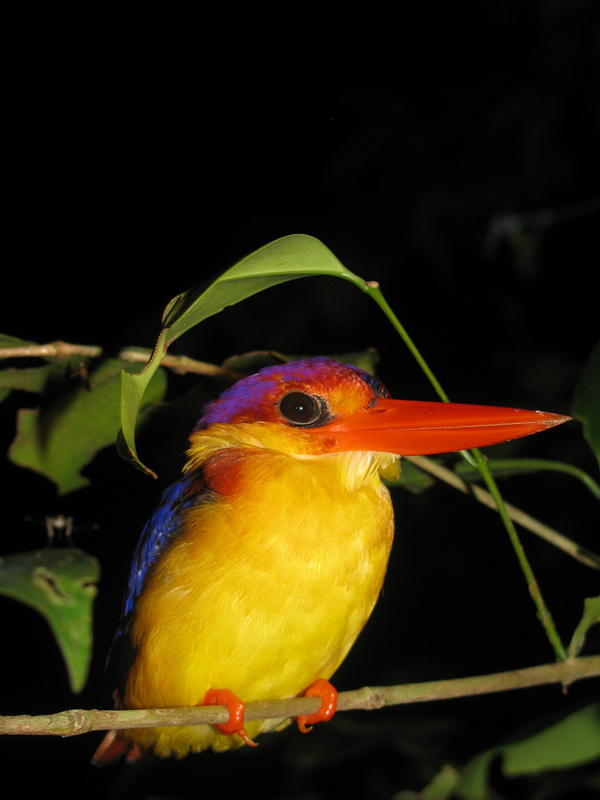 Breeding biology of Oriental Dwarf Kingfisher Ceyx erythaca. Indian Birds, 4(3), 98-103.
 van Marle, J. G., & Voous, K. H. (1988). The birds of Sumatra: An annotated checklist. 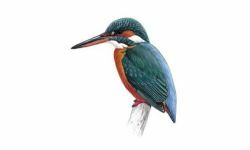 London, UK: British Ornithologists' Union.